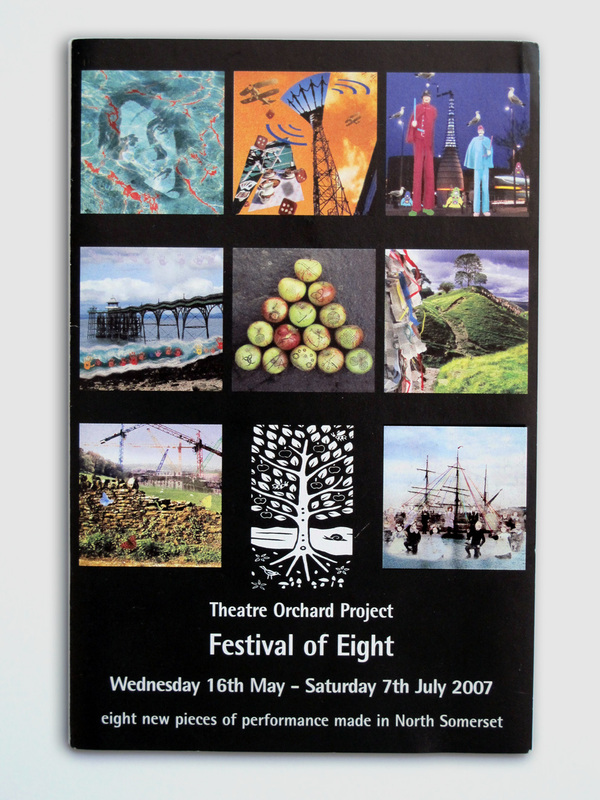 Leaflet design and imagery for Theatre Orchard’s ‘Festival of Eight’ in 2007. 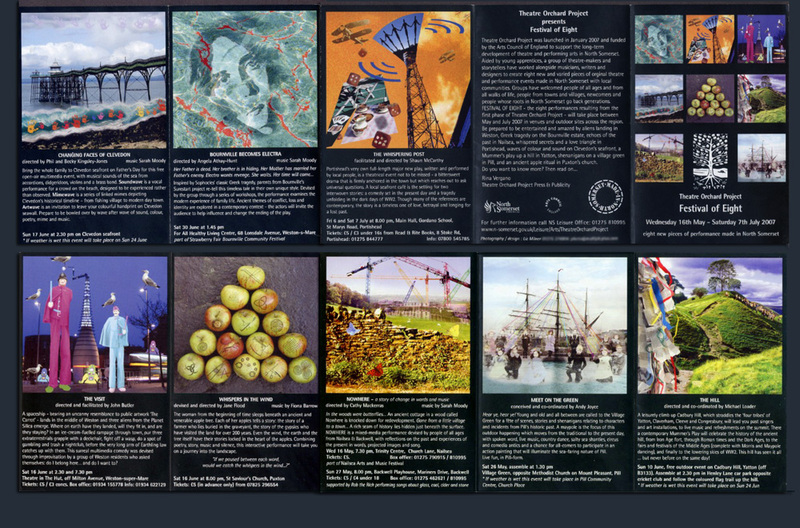 Eight performance practitioners worked with eight communities in North Somerset to devise eight performances, each one rooted in the local landscape and inspired by local stories. 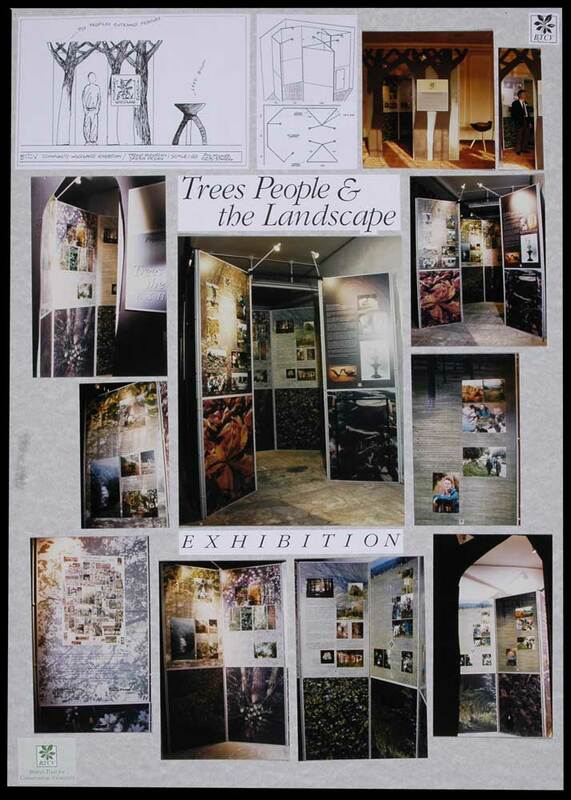 Photographs and some design input (with partner Peter Milner) for this BTCV exhibition ‘Trees, People and the Landscape’. 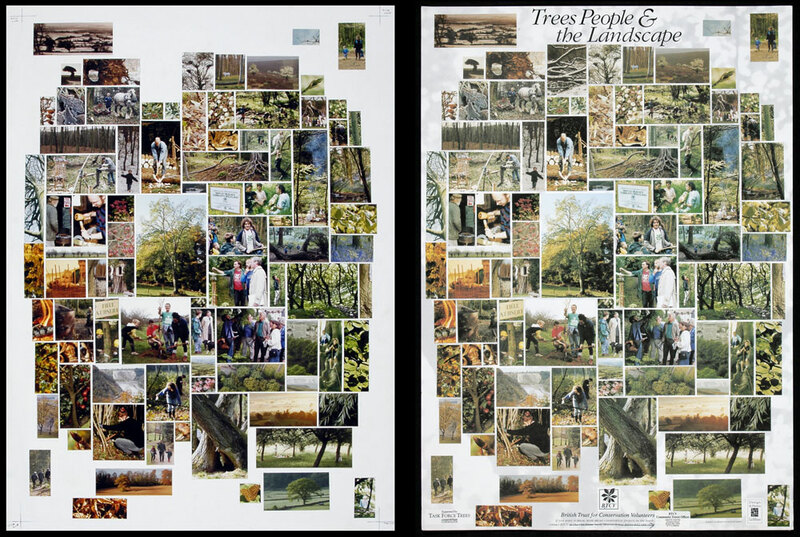 I was also commissioned to design a poster that used photographs I’d taken over several years of tree and wood-related subjects. 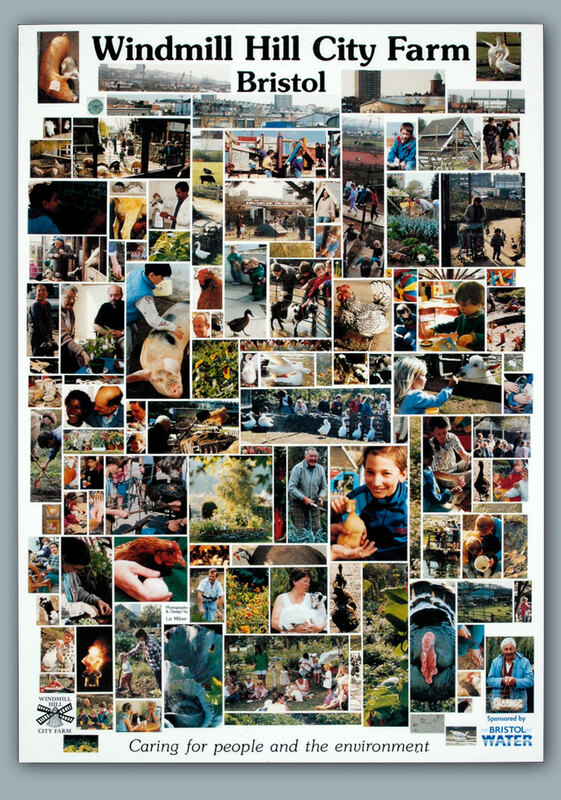 The poster featured in the exhibition and was used subsequently to promote the work of BTCV. 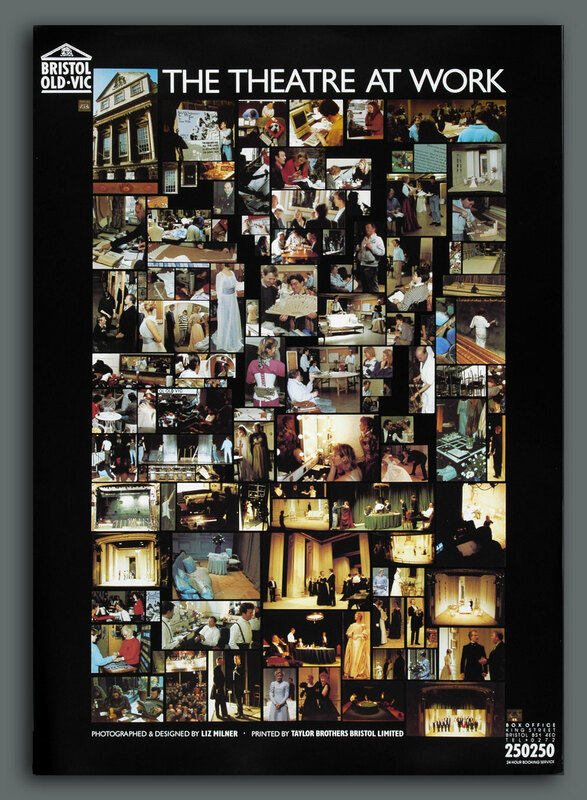 This poster was my first experience in having my lovingly crafted artwork, full of carefully modulated tonal ranges and hues, badly printed. Commissioned in part to celebrate the Community Association’s award from RIBA for the redevelopment of the old school building into a new community centre in 1990. First professional commission for creating what became a trademark style. 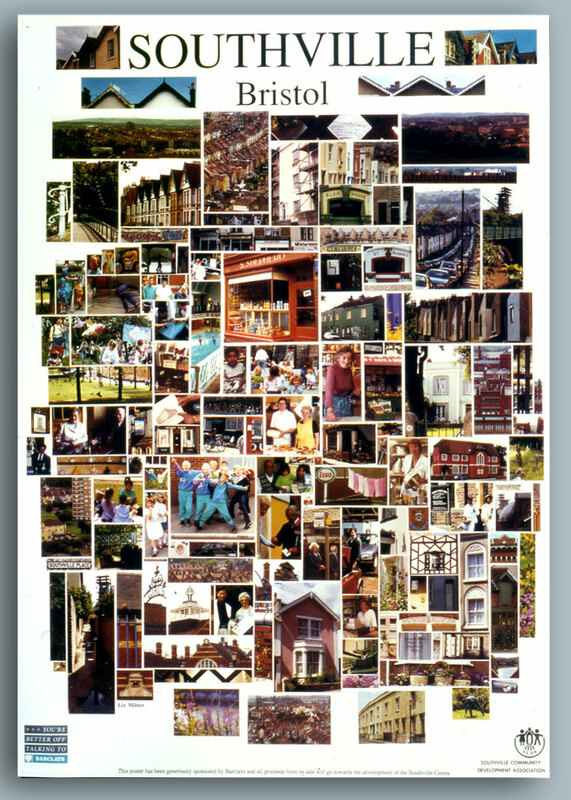 This was before home computers were capable of anything involving images, so all artwork was pasted up then scanned by repro company – choosing the right glue for the paste-up proved critical as the carefully arranged pictures would ping off rather easily with inferior glue. This Bristol Old Vic production of Oscar Wilde’s Lady Windermere’s Fan starred Anthony Head, Joely Richardson and Maggie Steed. I documented all aspects of the production from first read-through to final curtain, including set-building, props making and wig and costume fitting, and shared several coffees and chats with the very friendly Gold Blend advert star, later to become more internationally known for his dalliance with vampires. 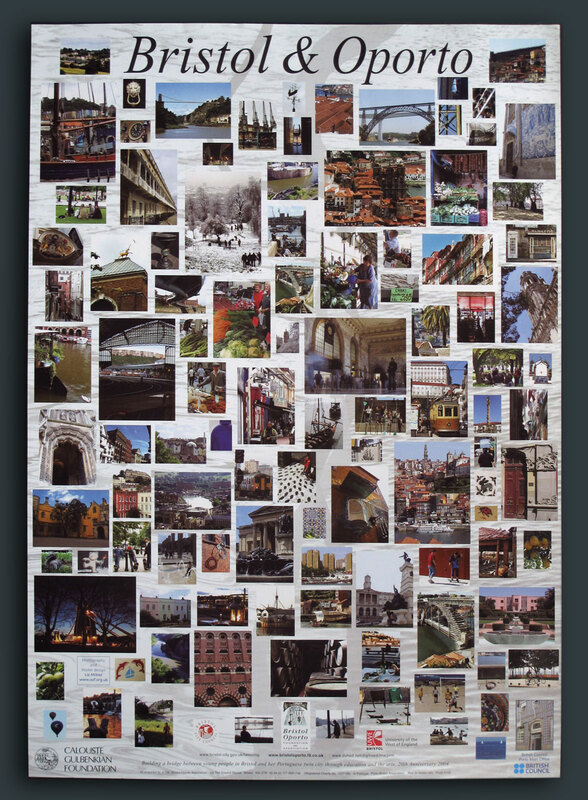 This entry was posted in Design, Work and tagged Bristol Old Vic, BTCV, Southville, The Theatre Orchard, woods. Bookmark the permalink.